In recent years we have become increasingly aware of the fact that disabled people are under-represented in UK cycling culture. In 2016, at an event attended by the All Party Parliamentary Cycling Group, local MPs and journalists, we decided to launch our mini manifesto. This document outlined what we felt to be the key barriers to cycling for disabled people and put forward a series of policy recommendations. Since then we have continued to campaign for the needs and rights of disabled cyclists, with our campaigns spanning a range of issues: from seeking legal recognition for cycles as a mobility aid to improving infrastructure for non-standard cycles. The majority of disabled cyclists find cycling easier than walking, with many using their cycle as a mobility aid (just like a wheelchair or mobility scooter). However, under existing legislation cycles are not recognised in this way. We think this is discriminatory and discourages many disabled people from taking up cycling. 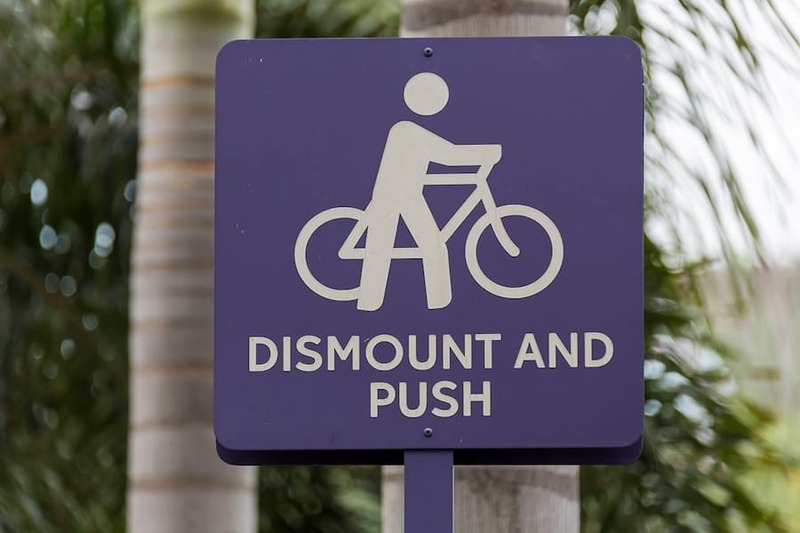 For instance, many disabled cyclists are told to dismount and walk their cycle in ‘non-cycling’ areas, despite the fact that it may be physically impossible for them to do so. We are campaigning to ensure that cycles are legally recognised as a mobility aid, when used by a disabled person for this purpose – putting them on a level playing field with wheelchairs and mobility scooters. According to our research, inaccessible cycling infrastructure is the biggest difficulty faced by disabled cyclists. Narrow cycle lanes, bollards and anti-motorcycle barriers are just some of the obstacles that can restrict or deny access to non-standard cycles, such as handcycles, tricycles and tandems, which are typically longer and wider than standard bicycles. We are campaigning to ensure that all cycling infrastructure is designed with the needs of disabled cyclists in mind. In particular, we are calling on local authorities to adopt an inclusive cycling ‘footprint’ as part of their cycling strategies and for government to develop a national technical standard for inclusive cycling. The cost of non-standard cycles can put off many disabled people from cycling. The price tag attached to an adapted or specialised cycle far exceeds that of a standard bicycle, leaving many unable to afford the right kind of cycle and excluded from cycle to work schemes. Added to this, the rules around VAT and non- standard cycles are not always clear, often leaving disabled cyclists to foot the bill. We are campaigning to raise awareness of inclusive cycling amongst employers, cycle manufacturers, health professionals and government. By exploring opportunities to reduce and subsidise the cost of non- standard cycles, we hope to make cycling a much more attractive and affordable option for disabled people. Too often disabled cyclists are ignored by cycling professionals, transport bodies and local government. In an audit we carried out of London cycling strategies, we found that only 2% of all images of cycles were of non-standard cycles. Disabled people are also most likely to be seen as car drivers or pedestrians when discussed in transport policy. Rarely are they thought of as cyclists. We are campaigning to improve the representation of disabled cyclists in cycling policy, imagery and language. By working closely with transport bodies, local authorities and cycling groups, going on study tours and delivering workshops, we hope to increase the visibility of disabled cyclists by building a photobank and ensuring that inclusive cycling becomes a mainstream feature of cycling.